Members of the Society are reminded that subs became due on 1 January. A renewal form will accompany the Newsletter and can also be printed off from the website. This year's Frolic weekend takes place in Bloomsbury between 31 August and 2 September. Members who have already booked will receive details of the weekend at the beginning of August. There are still places available but do let Ann Williams know as soon as possible if you wish to come. A booking form was enclosed with the Spring Newsletter. During the Frolic we shall be visiting the Foundling Museum; its Picture Gallery includes Hogarth's 1740 portrait of Captain Coram, surely one of the greatest of English portraits. On the Sunday morning members may visit other attractions in the area such as the Enlightenment Room in the British Museum; originally the King's Library , it now contains eighteenth century collections, commemorating the spirit of eclectic enquiry associated with the founding of the Museum in 1753. All members are welcome to the AGM whether or not they are attending the rest of the Frolic. It will start at about 8.30pm on Friday 31 August at the Goodenough Club and College, 23 Mecklenburgh Square. The nearest underground station is Russell Square. Martin Brayne - ROBERT POTTER - "A Sensible and an Handsome Man" - a brief biography of Woodforde's fellow Norfolk clergyman Robert Potter of Scarning. David Stoker - ROBERT POTTER'S ATTACK ON DR. JOHNSON - Did Potter really, as has been alleged, detest Dr Johnson? John Heighes - A Step Further Back in Time: Some Extracts from ROBERT WOODFORD'S Diary - the Diary of Woodforde's great-great-grandfather written at the outbreak of the Civil War. 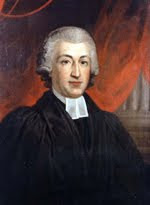 Carole Child - The Revd JOHN SMITH: a Mystery - Why did Smith break off his engagement to Mrs Davie? Martin Brayne - Additions to the Printed Book - in the light of the advent of kindle what do we like about books? In memory of the late Paul Minet.